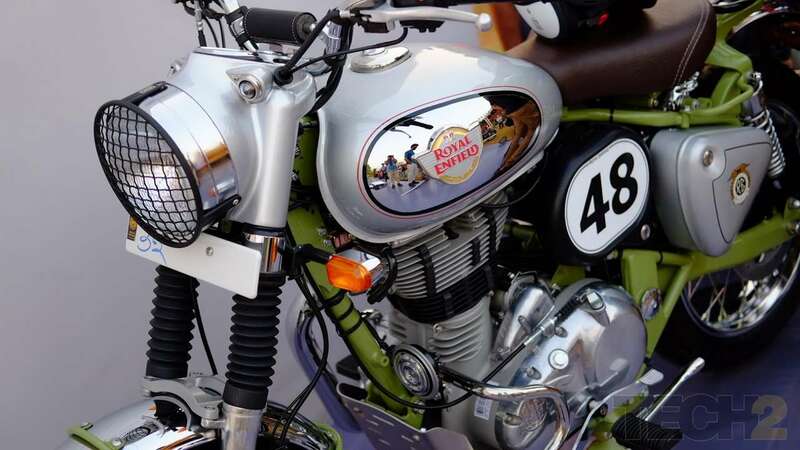 The Royal Enfield Bullet Trials launched starting at Rs 1.62 lakh. Image: Tech2/ Ankit Vengurlekar. 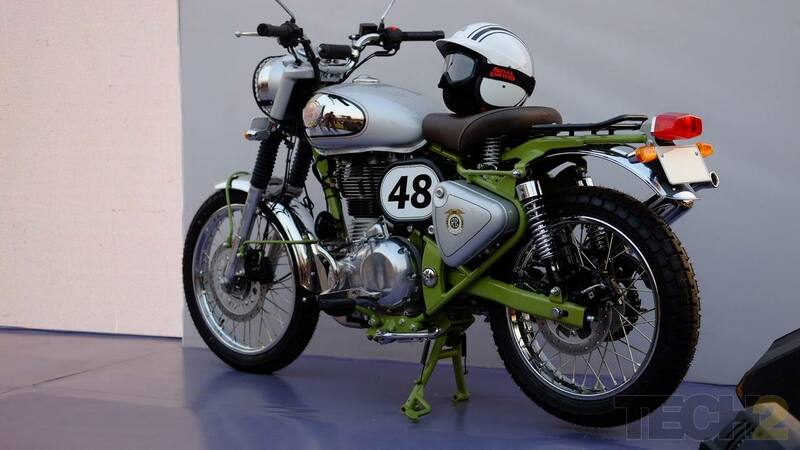 The Royal Enfield Bullet Trials 350 features the same old 346cc single-cylinder engine that churns out 20 PS and 28 Nm of torque. Image: Tech2/ Ankit Vengurlekar. 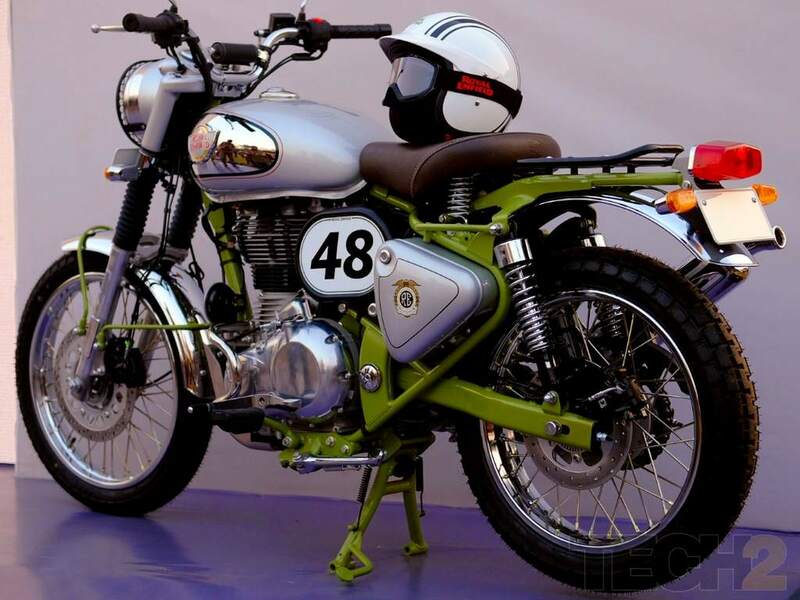 While the painted chassis stands out from the rest of the body, the styling elements come from the 80’s Trials models. Image: Tech2/ Ankit Vengurlekar. 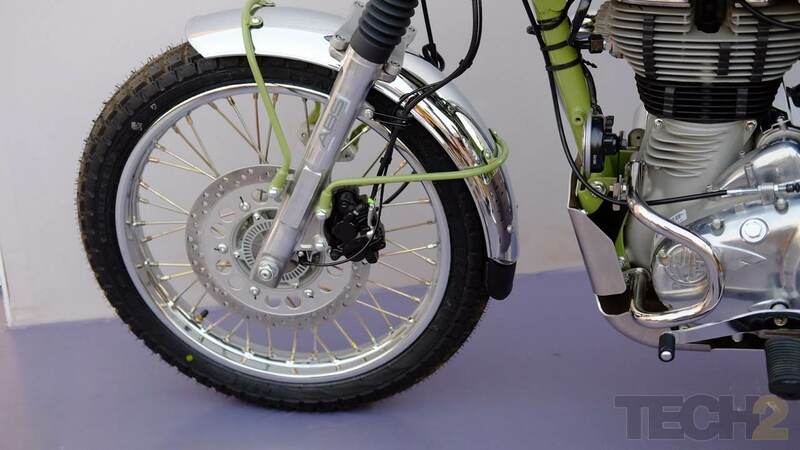 The rear end of the Bullet Trails features a luggage carrier and knobby tyres for better grip in rough terrain. Image: Tech2/ Ankit Vengurlekar. 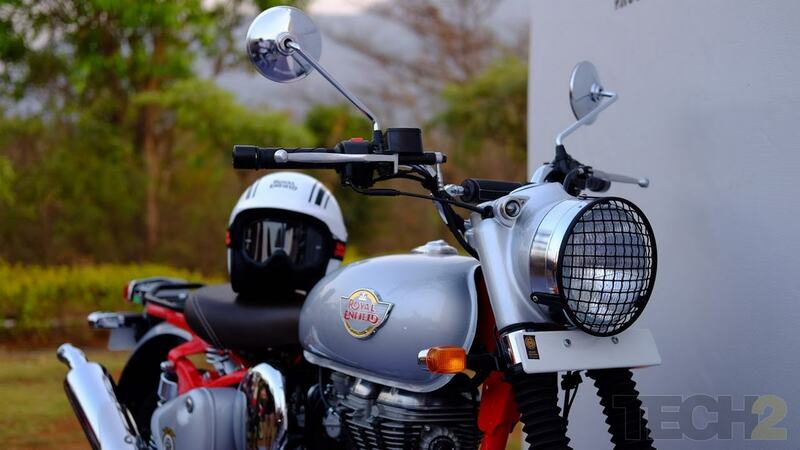 The headlamp on both Bullet Trials models are well-protected with a grille. Image: Tech2/ Ankit Vengurlekar. 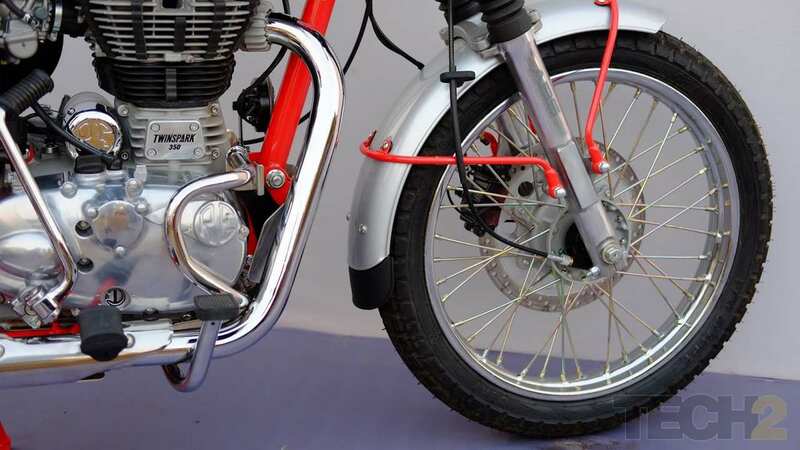 Both the Bullet Trials 350 and 500 feature an upswept exhaust for better water wading ability. Image: Tech2/ Ankit Vengurlekar. 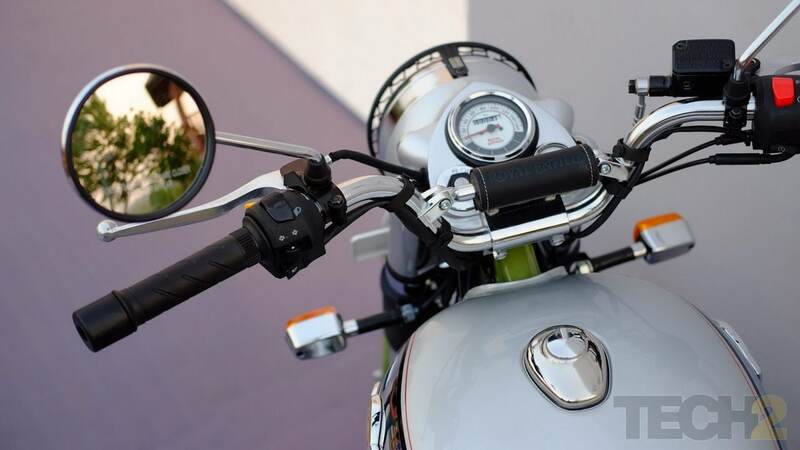 Cross handlebars are in place to reduce vibration at the handles. Image: Tech2/ Ankit Vengurlekar. 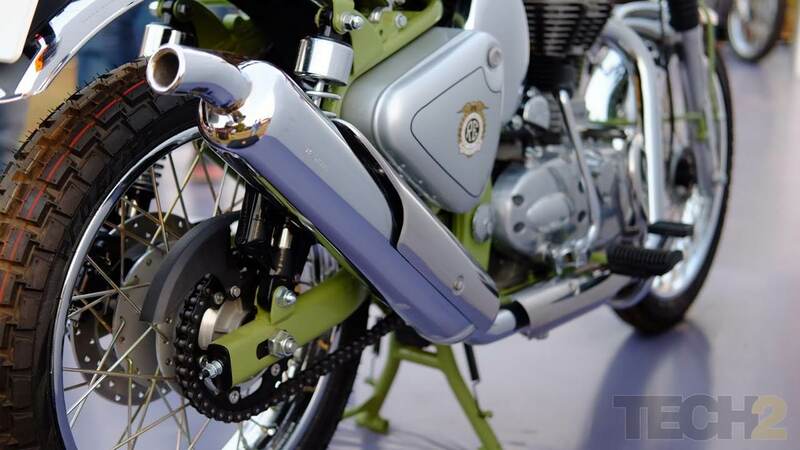 Both Trials models come with dual channel ABS braking. Image: Tech2/ Ankit Vengurlekar.